Travel Umbria: 150 Years of Italy! March 17 is the day Italy was proclaimed a united country by King Victor Emmanuel II with its capital in Rome, although the city was still part of the Vatican's possessions. It was 1861 and today it is the 150th anniversary celebrating that proclamation. Umbria, just like Rome, used to be part of the Papal states. The Catholic Church had gotten hold of it during the 14th century, and apart for a brief Napoleonic interruption, did not let go off of it until the unification of Italy, when Umbria became part of the new state. What is doing Umbria to celebrate its independence from the Vatican and Italy's unification? 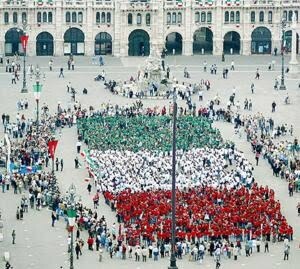 Almost all towns and cities have their own celebration commemorating the salient moments of the proclamation of Italy and remembering those who fought besides Garibaldi to liberate the peninsula. Some towns, like Amelia, are even renaming important squares to "Piazza Unità d'Italia", to commemorate this date. Many towns stage theatrical performances themed around the Italian Risorgimento and offer visits to places of significance for this historic event. In addition, there are many resorts, villas, B&Bs and farmhouses offering discounted stays for the long weekend from today to next Sunday March 20. IN addition, with the season warming up, a visit at the thermal towns of Fontecchio, Sangemini, Acquasparta, Massa Martana, Spello, and Assisi would be excellent. Any occasion is perfect to relax in Umbria, and these days of holidays are perfect for a short vacation in thermal waters. Catch the best last minutes!